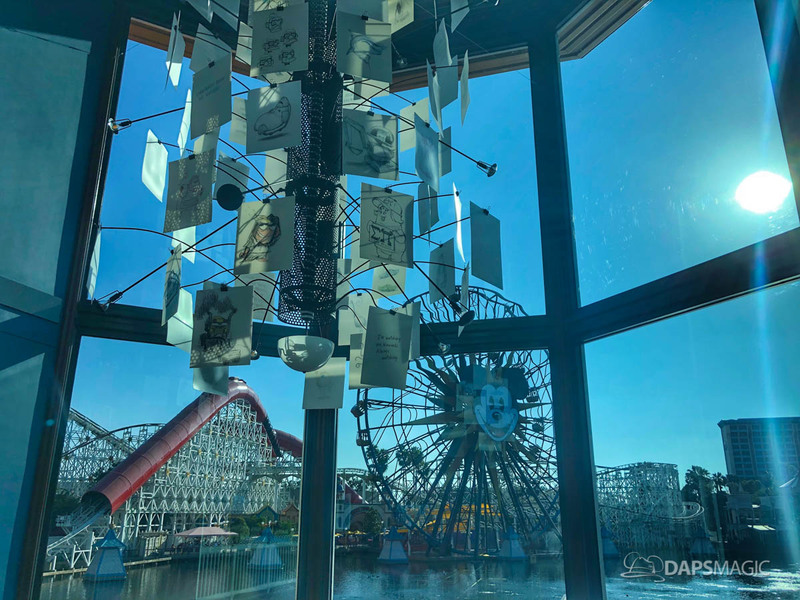 Pixar Pier is now open and so is the Lamplight Lounge. 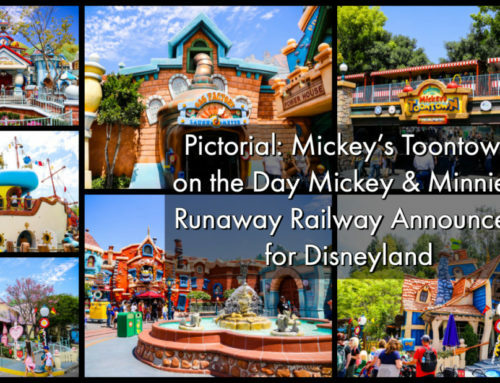 This dining location is sure to be popular with its Pixar themed decor, whimsical drinks, and delicious food. This gastro-pub is a celebration of creativity, inspiration, and personalities of the artists and storytellers who bring our favorite Pixar stories to life. The restaurant itself is full of art and details that are fun to discover. Visit again and again and most likely new things will be discovered each time! 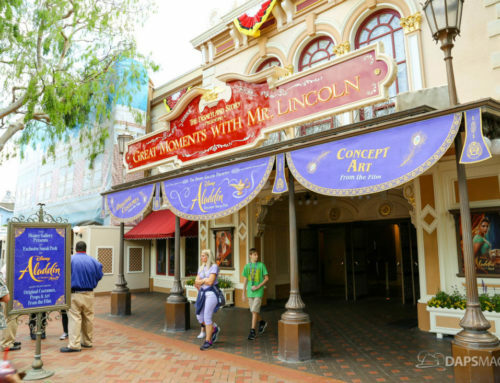 Stroll around Lamplight Lounge and discover fun artifacts, artwork, drawings, quotes and more! There are seven Pixar facts celebrated at the restaurant that has been shared by the Disneyland Resort that DAPS MAGIC will highlight today. Early sketch artwork is celebrated by Pixar. Artwork can be found throughout Lamplight Lounge. From the moment one enters the restaurant, the importance of sketch artwork is apparent. A chandelier features prominently inside the main lobby. It is made of artwork and film quotes from many Pixar animated films. It features blank pages at the top and they get more developed as they progress downward. This represents the creative process. This is something worth seeing when visiting Pixar Pier, even if just peeking in to take a look! When films are in production at Pixar, departments create and wear t-shirts to celebrate the film! This Pixar tradition is on display at the Lamplight Lounge on the t-shirt wall. These shirts showcase the process of filmmaking at Pixar and include inside jokes, department’s experiences or influences on films, humorous references, or even a celebrated accomplishment. They also show how the different departments come together to create a Pixar film. There is a conference table at Pixar Animation Studios with die-cast cars in it created for the Disney-Pixar film Cars. 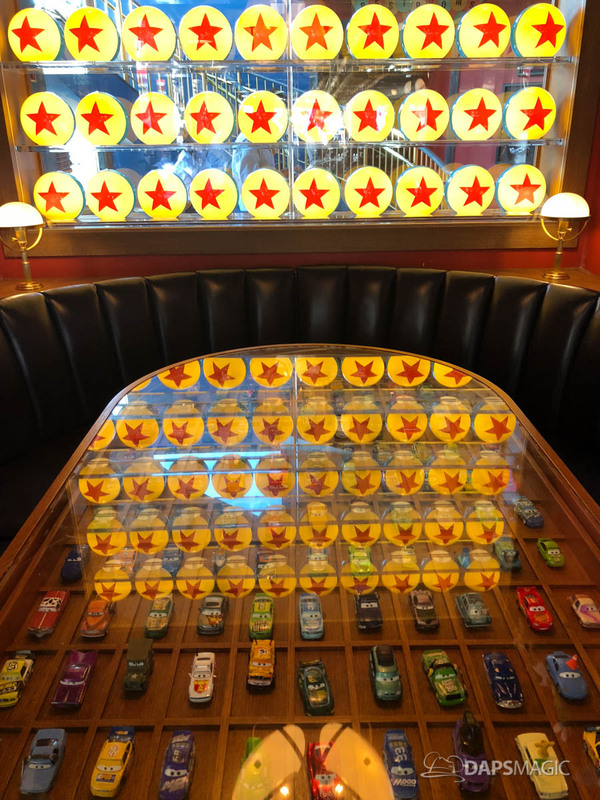 Downstairs in Lamplight Lounge, a dining table has been made with die-cast cars in it, much like can be found at Pixar Animation Studios. There are several other artistic recreations at the Lamplight Lounge that recreate the creative interior design of Pixar Animation Studios in Emeryville. Every toy has a story at Pixar. Right above the Cars dining table, there are some toys on display. These are from the archives at Pixar. Underneath the shelves notes can be found. These showcase the process that happens between Pixar and the toy creators to ensure that the toys are as accurate as possible. Generally, each toy goes through multiple rounds of notes. This can include drawings, creative reviews, and video conferences in the quest to create the best toys possible! 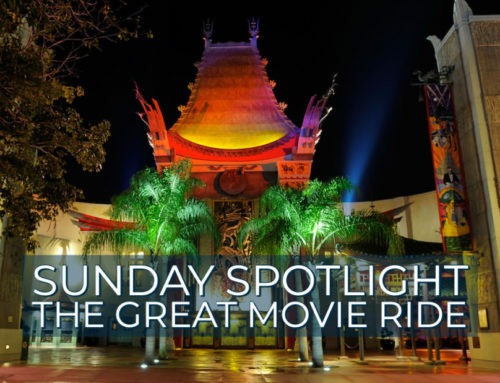 Where each Pixar film has Easter Eggs, Lamplight Lounge is full of nods to Pixar films and culture. Throughout the Lamplight Lounge, there are details to be found connected to Pixar. Details can include nods to the films, filmmakers, and also the filmmaking process. This goes way beyond just the decor but also can be found in the menu as well! Some fun examples can be found when ordering drinks like the Park Ave. (alcoholic beverage). This is in references to the street name for Pixar Animation Studios address in Emeryville, California. Another drink, the Goofball Island (non-alcoholic) is named after one of Riley’s personality islands from Inside Out. Research and development are essential to the development of Pixar films. The process for researching and developing films is extensive and includes a large amount of artwork, promotional material, and collection of artifacts. 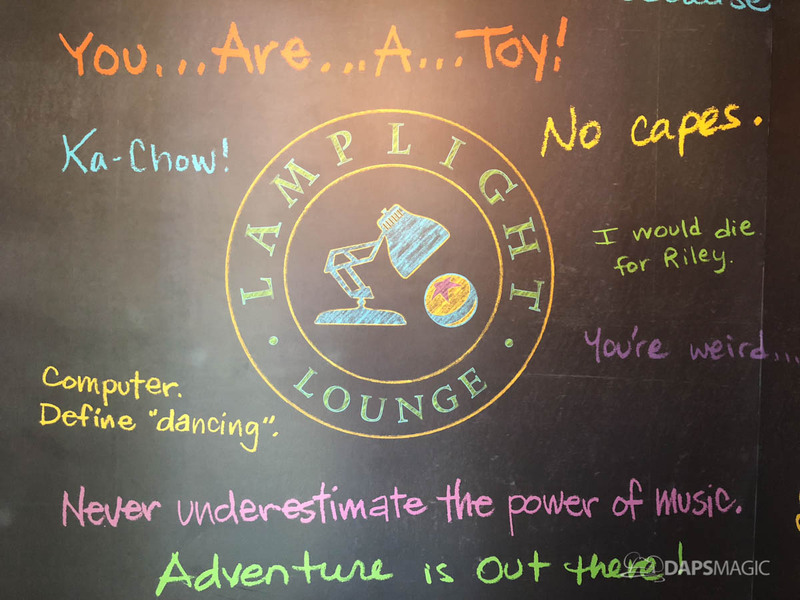 Throughout Lamplight Lounge guests can find memorabilia that includes concept art, reference materials, props and physical renditions of artifacts from its many movies. One fun detail is a crayon drawing of Bing Bong in the Inside Out area. This came about after it was decided that Bing Bong was looking too much like adults trying to draw like kids. 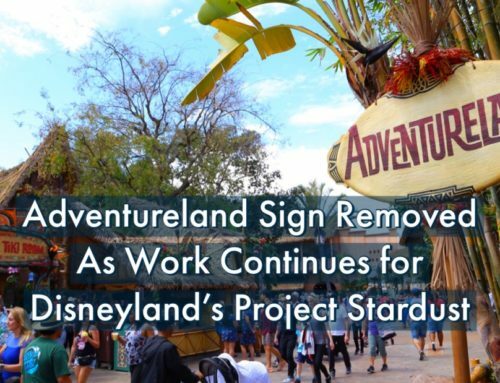 A 7-year old child of a Pixar employee was enlisted to help remedy this. Pixar employees often share handwritten notes throughout the creative process. Some of these quotes are showcased at Lamplight Lounge. Throughout the restaurant in some fun places, quotes can be found as a tribute to the Pixar storytellers. Some of the quotes can be found on the chandelier in the entryway and also on the walls of the hallways leading to the restrooms. There are several that will be recognizable, inspirational, and sometimes just downright fun. There are so many fun details to be found when visiting Lamplight Lounge. These are just a few that are directly related to Pixar Animation Studios in Emeryville, Ca. 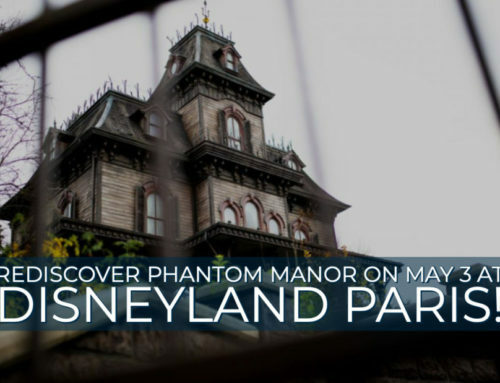 There are so many more tidbits to discover when visiting Lamplight Lounge. What is your favorite Pixar detail found there? Let us know in the comments below!